Train: Amtrak’s Southwest Chief serves the station right next to our stop. Intercity bus: The Greyhound station is right next to our stop. Service to points north, south, east and west. 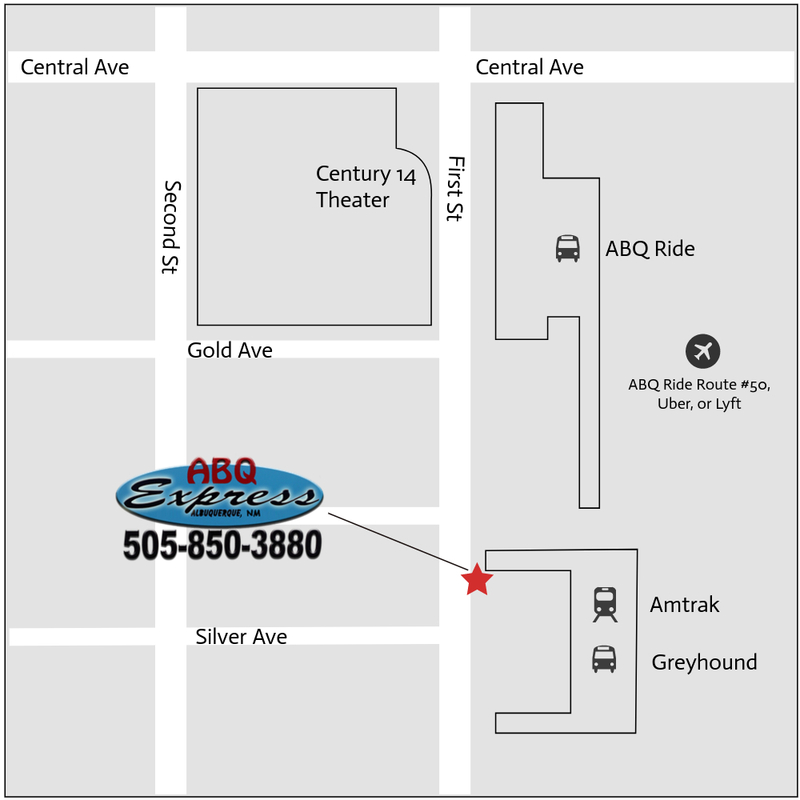 Local bus: ABQ Ride is Albuquerque’s public transit system. Air: We’re happy to drop you off at the Sunport (Click here to make a reservation. ), but unfortunately, due to state regulations, we’re not allowed to pick you up there. You can, however, use Lyft, Uber, or ABQ Ride Route #50 to reach our Albuquerque stop, which is located in the heart of downtown.